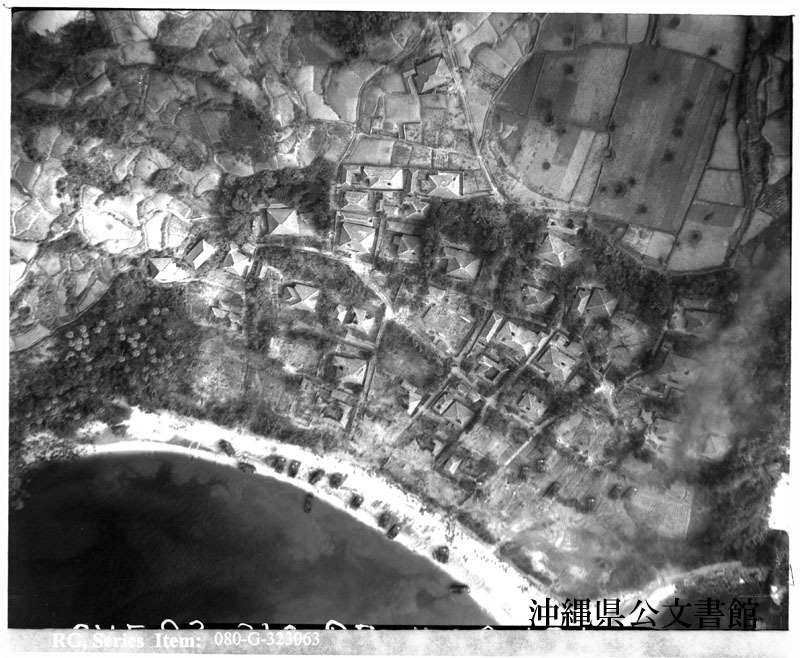 Aerial of Tokashiki Shima in Kerama Retto. F.L. 6 3/8”. Taken by plane from the USS MAKIN ISLAND (CVE-93). 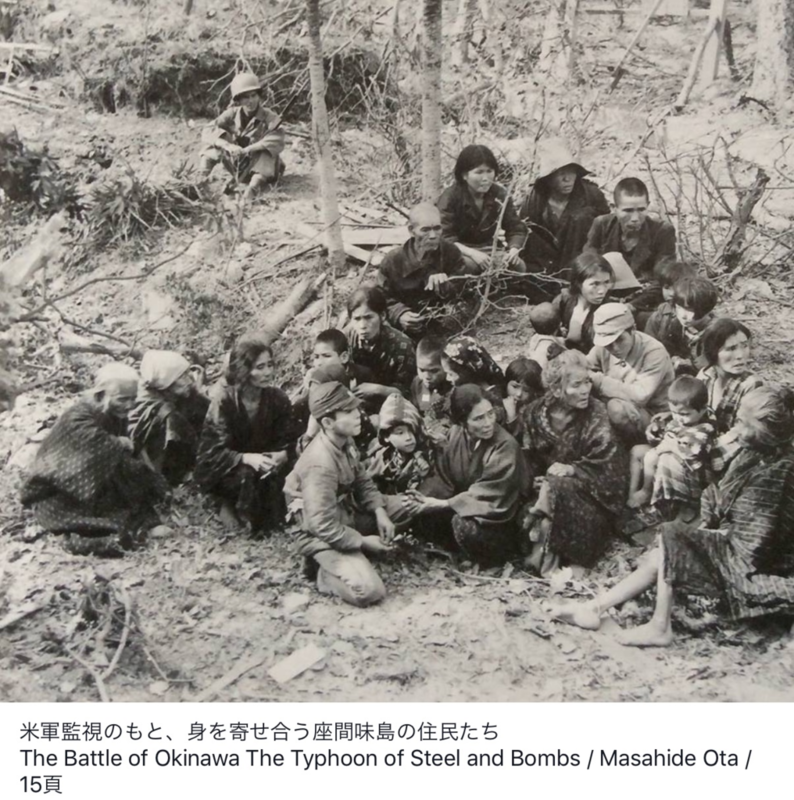 Town of Aware [Aharen] showing U.S. landing craft on the beach. Alt. about 1200'. 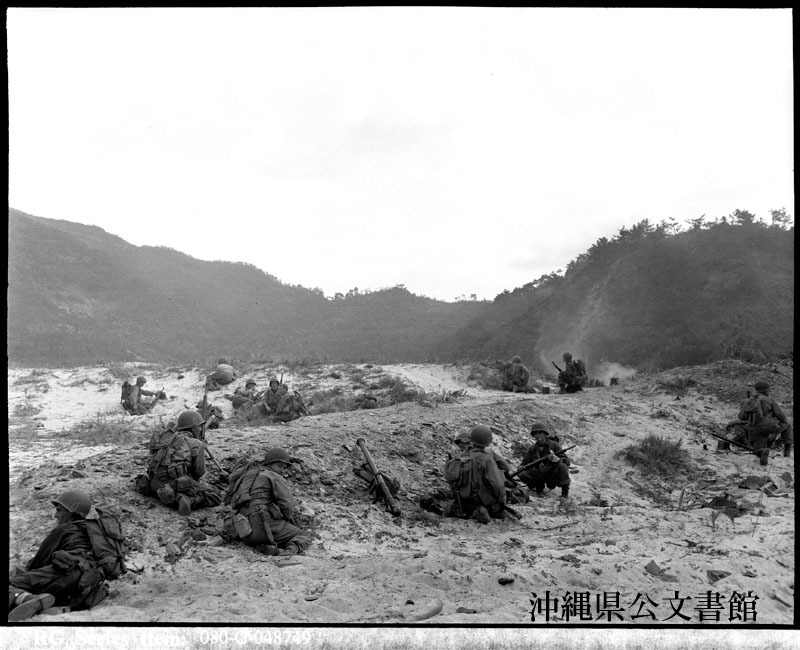 Amphibious tanks and troops land on shores of Tokashiki Shima Islands in Ryukyus. 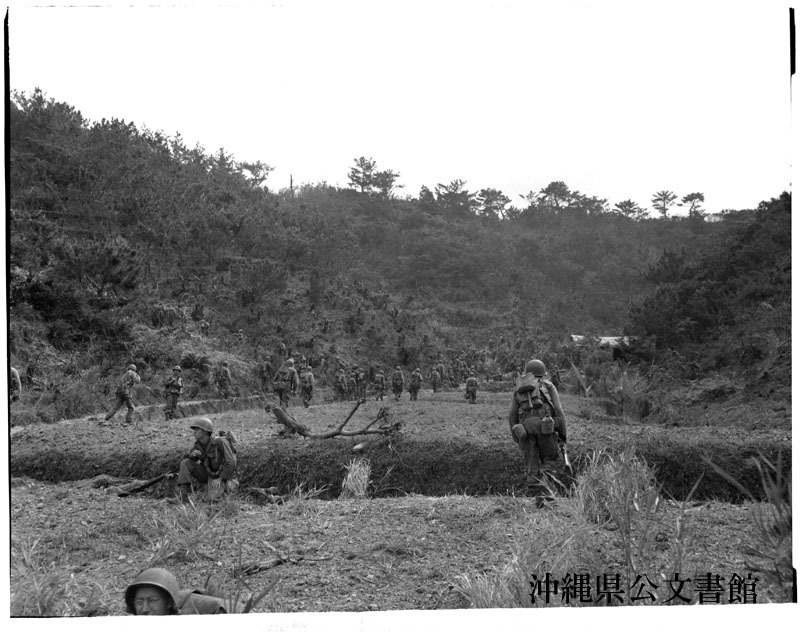 Troops of 77th Army Div. 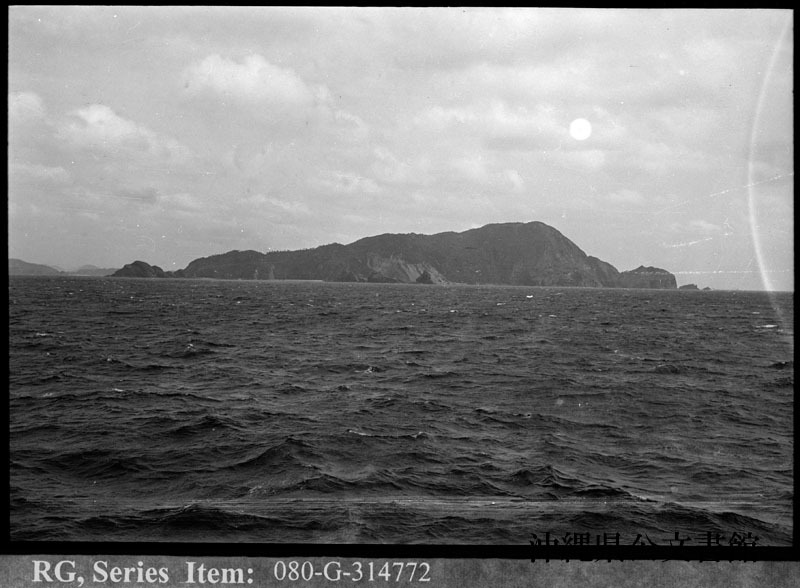 advancing inland on Tokashiki Shima on Kerama Retto Islands in Ryukyus. Western beaches of Amuro Shima, Ryukyu Islands. Taken from an LSM (R), Flot #9. 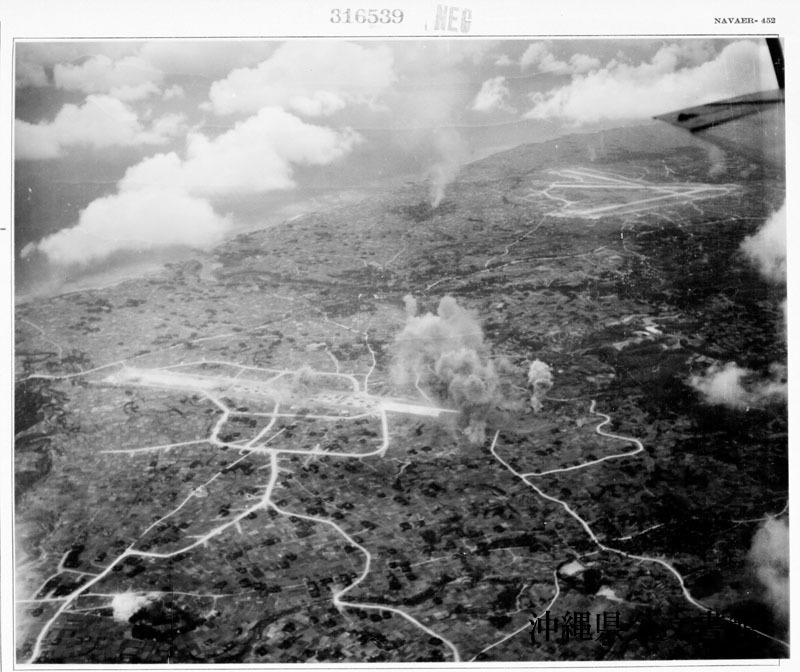 Aerial of Katena airfield on Okinawa, Ryukyus, Yontan airfield. 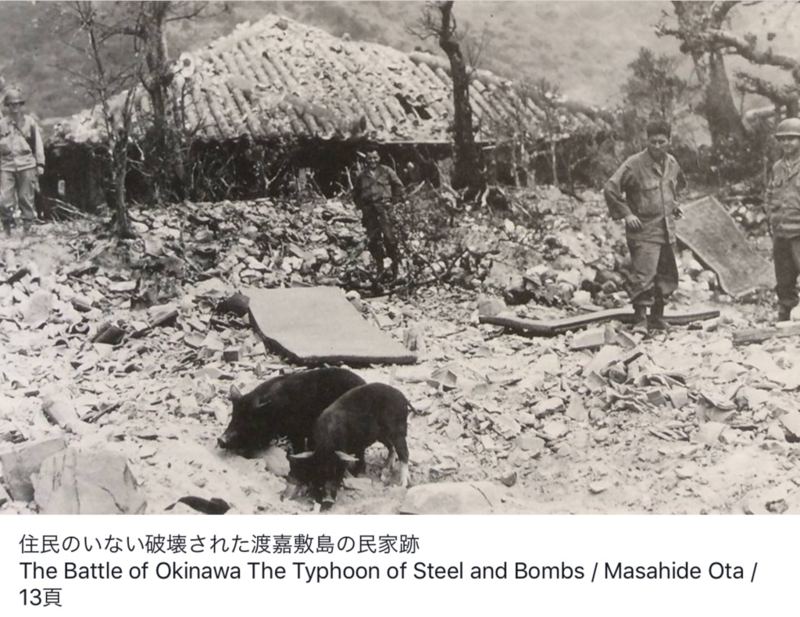 Taken from TBM on bombing mission morning of March 27, 1945. 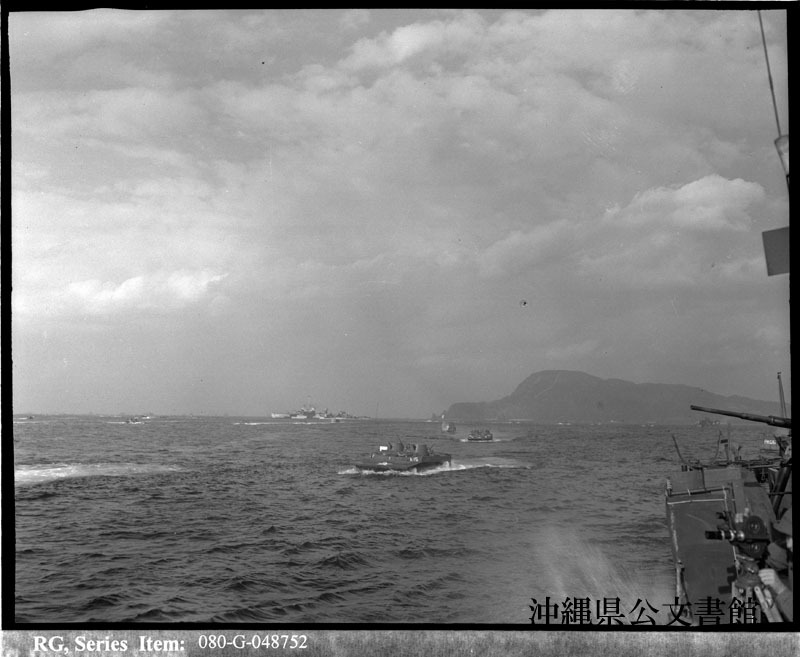 The USS LSM(R) 188 on patrol at Kerama Retto, Ryukyu Islands was badly damaged when attacked by a Jap suicide dive bomber. 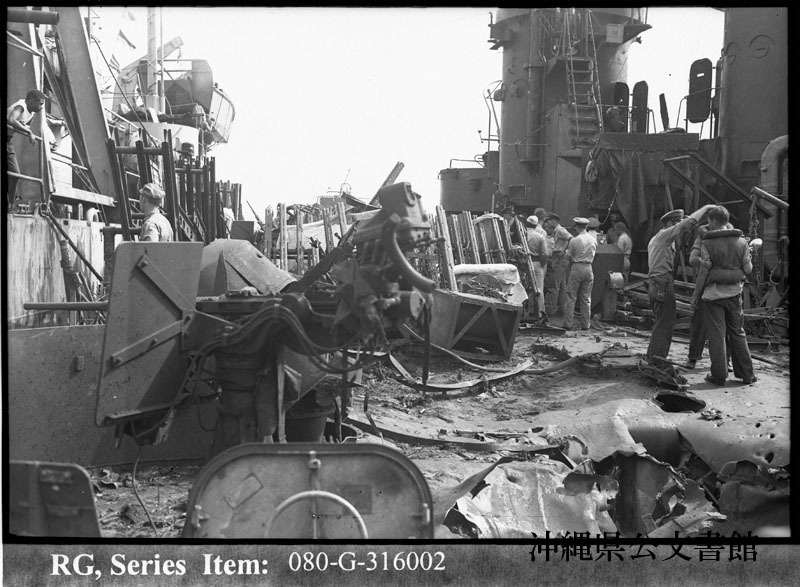 Damage done to rocket racks. 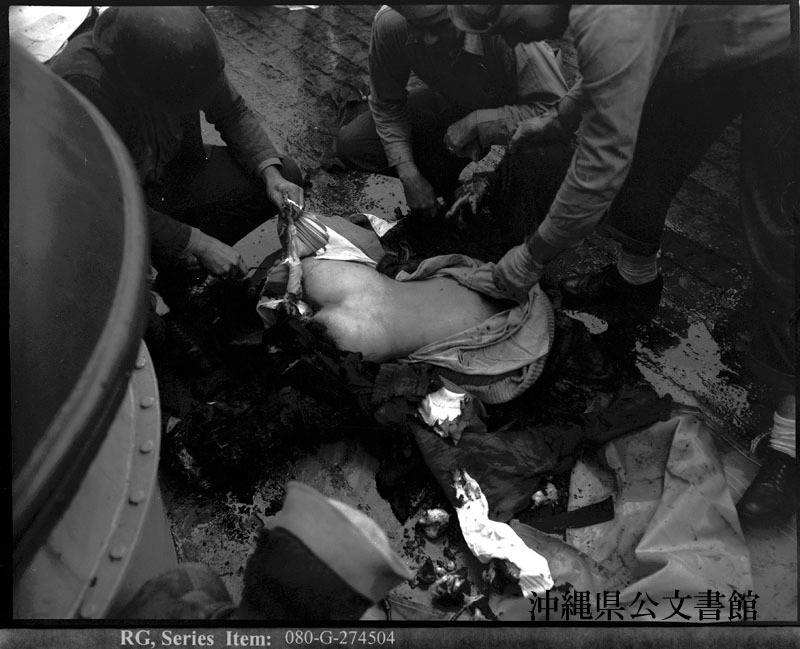 Dead Jap suicider who made attack on the USS NEVADA (BB-36) is shown on deck in pieces, off Okinawa, Ryukyu Is.